In this tutorial you will learn how to unlock Chapters based on a specific time. 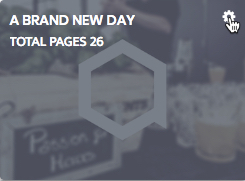 The time based unlocking feature allows you to release Chapters in a prefigured order, at predefined moments. For example, the first Chapter in a story is directly available when the user creates an account (preboarding) but the second Chapter becomes available upon the first day of your new hire. Note: Chapter unlocking can't interfere with story unlocking. If story unlocking is set at -7, a chapter in that story can't be set to -10 for example. Step 1. 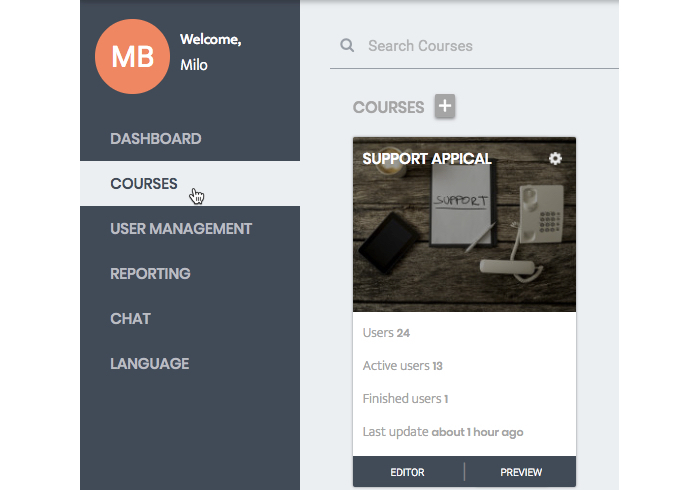 After logging in as an Administrator or Editor click on ‘Courses’ in the menu on the left. Step 3. Navigate to the desired chapter and click on the gear-icon in the top right corner and select ‘Settings’. Step 4. The number that you enter at the text field at 'Unlock this story at runtime dat (optional)' is the day that the story will unlock after a users first day. 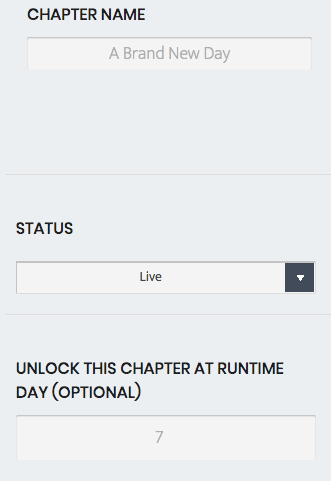 Example: If a user has his start date/first day set on January 1st, and the unlock of a chapter is set to 0 the chapter will be unlocked at the start date/first day. If set to 7 it will release January 8th. CSV Invite and Open Invite only: When inviting new users you can set a 'course start date'. If the course start date is set then that date will be used to calculate the 'unlock moments'. If the start date is not set AppicalNow uses the 'first day' to calculate the 'unlock moment'. Start date is especially useful if a user is already active for a while but still needs to unlock in a specific order. Using 'first day' in that situation might lead to automatic unlocking of all stories. If neither are present than the day the course was assigned to the user will be used as a reference point. It's possible to unlock a chapter before the first day of a new hire. You can use this if you want to to use the chapter for a pre-boarding cause. Putting a - in front of a number allows you to unlock a course for a set amount of days prior to their first day. In the example below, the story will be available 4 days before the first day of the new hire. Congratulations! You now know how to unlock chapters based on a specific time!